I absolutely loved the hostel. The staff is so awesome. I miss them already. The dorms are nice and I felt really safe. War mit einem Kumpel 2 Wochen auf Hawaii, davon einer im Seaside. Wir waren positiv überrascht wie gut das Hostel war. Haben sehr nette Leute kennengelernt und auch die, größtenteils jungen staffs sind mega freundlich und hilfsbereit. Unbedingt zu empfehlen!!!! Great stay! I really can recommend this place! 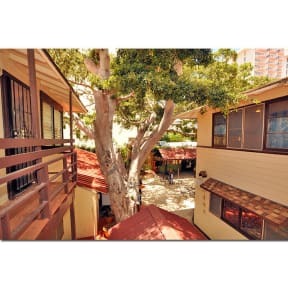 The perfect place to stay, the location is perfect - close to the beach, stores and the nightlife. The shared area is comfy and great to get to know new people. Everything was clean and the staff was always very helpful. 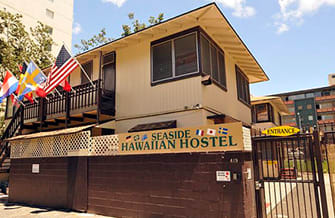 I stayed in Seaside Hostel for almost 2 and a half weaks, it was the best stay I have ever had in an Hostel. Staff and customers are friendly and lovly to spend time with. Staff has an answer to all your needs. I got to get to now a lot new awsome people and miss the stay allready. I can recommend this hostel to everybody who loves to spend time withe awsome people. I even went to Maui and Skydiving with one of the staff. @M. As well as the best cliff/waterfall-jumping spots you can finde. @J. Liked staying here, they have everything you need and a nice little area to chill out. The staff is always nice and helpful and the breakfast is pretty Good, especially the muffins for a dollar;) just the price was very high since they don't offer tours or anything like that and you still have to pay for surfboard rentals ($15 which is decent) but we also went during high season. Location is awesome! The hostel is gated which makes it pretty safe.